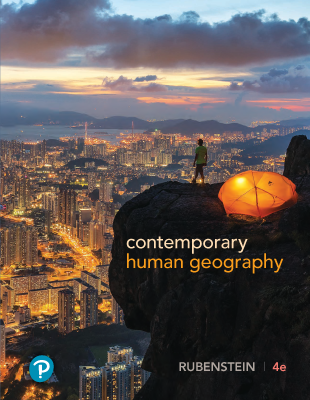 Trusted for its timeliness, readability, and structured learning path, the bestselling title, The Cultural Landscape: An Introduction to Human Geography explores the patterns and processes of Earth’s human landscapes. Rubenstein weaves the themes of globalization and diversity and their relationship throughout the text, addressing these themes with a clear organization and presentation that engages students and appeals to educators. UPDATED Learning Outcomes begin each chapter and emphasize skills and knowledge students should gain from each section. UPDATED Sustainability & Our Environment relates the principal topics of human geography to overarching issues of economic, social, and environmental sustainability for our planet. 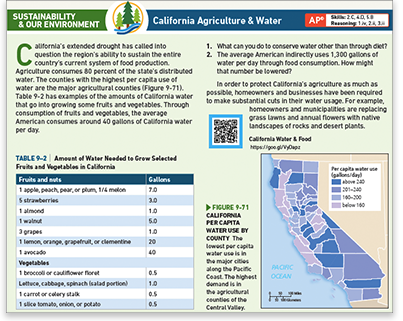 UPDATED Cartography and photos with more than 400 maps and 300 photos within the text, the 13th Edition provides thoroughly updated maps, optimized for maximum accuracy and clear presentation of current data. UPDATED Doing Geography and the accompanying What’s Your Geography? features discuss geographic tools, techniques, and skills used to address real-world problems. 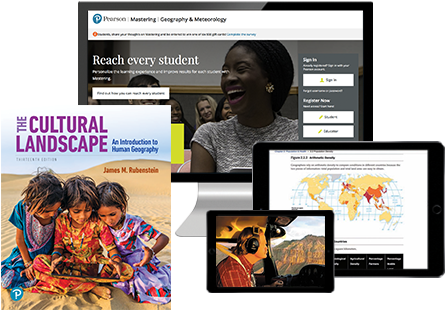 Students then play the role of geographers by applying these skills and techniques to their own experiences and environments. This discovery-based learning connects the global to the local, and help students apply human geography to their everyday lives. UPDATED Debate It! 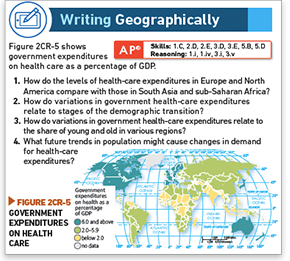 features two sides of a complex topic to engage students in active debate around the most critical issues explored in human geography today. 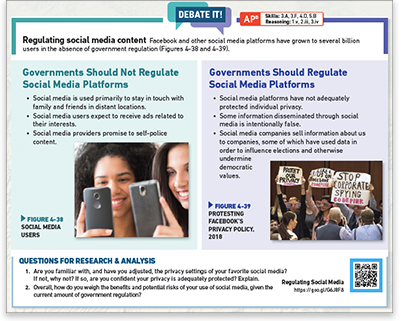 New topics include the latest nuanced debates of issues such as Universal Health Care, privacy rights, immigration controls, and more. The features now also conclude with Questions for Research & Analysis. 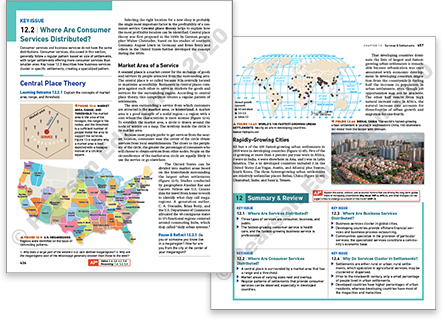 UPDATED Thinking Geographically end-of-chapter questions consist of several visual and thought-provoking “essay-style” questions, suggesting directions for further reflection based on concepts and themes developed in the chapter. 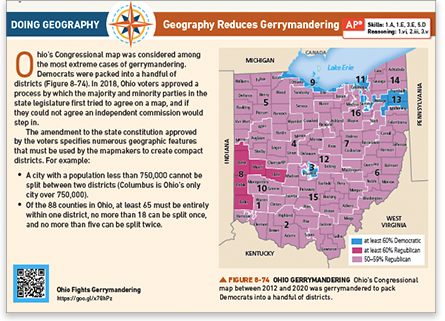 NEW Geospatial Data Analysis activities leverage GIS-inspired MapMaster 2.0 in Mastering Geography, allowing students to create maps and analyze spatial patterns and data at regional and global scales. 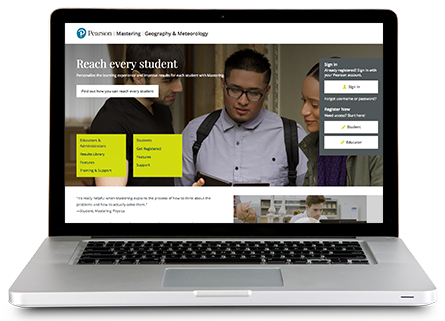 The Mastering platform is the most widely used and effective online homework, coaching, and assessment system. It delivers self-paced coaching activities that provide individualized coaching, focus on course objectives, and are responsive to each student’s progress. The Mastering system helps teachers maximize class time with customizable, easy-to-assign, and automatically graded assessments that motivate students to learn outside of class and arrive prepared for lecture.